Prepare for an evening of spectacular quality and taste. Two of Australia’s most well renowned producers in their respective areas are coming together to take you on a tantalizing journey. 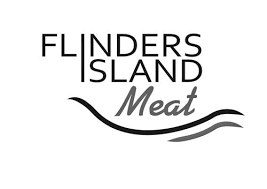 Meat Market hosts the Penfolds and Robbins Island Wagyu Dinner. A veritable feast of the finest Wagyu beef cuts, presented through an engaging display by Executive Chef Malcolm Williams, teaching guests about the finer details of Wagyu beef and why it is considered some of the best in the world. Along with Penfolds opening their 2014 Grange amongst various specially picked wine pairings. This is an evening for guests looking to immerse themselves in the breadth that the Penfolds 2018 range has to offer, perfectly paired with its ideal partner, Robbins Island Wagyu. ​wagyu on Robbins Island since the early 1990’s. channels at low tide to move them peacefully between grazing areas. ​clean air and a pristine coastal environment. ​Join us at Bohemian Wine Bar for complimentary cheese and a tasting following the event.